The "Trusted" Name in Pressure Washers. With LANDA Pressure Washers, industrial cleaning is quicker and easier! The LANDA name has been built on the foundational pillars of quality, safety and innovataion. 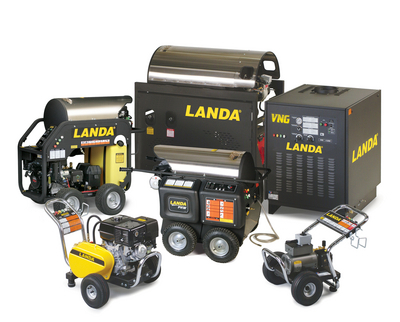 When it comes to LANDA equipment, rest assured, you're buying the best. 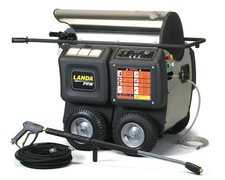 The following are reasons for investing in LANDA high pressure washing equipment versus other brands. LANDA, with its state-of-the-art factory, was among the first pressure washer manufacturers to be certified to the internationally recognized ISO-9001 quality standards and has earned a number of quality achievement awards. LANDA is famous for its craftsmanship and ruggedness including high-pressure pumps backed by a 7-year warranty and extra-efficient heating coils. 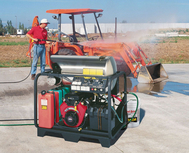 LANDA was the first pressure washer manufacturer to certify its entire product line to the rigid UL-1776 safety standards and has built into every piece of equipment a variety of safety devices to provide maximum protection for the operator and owner. LANDA's "ETL listing" means that you can rest assured that you and your employees are operating equipment that is proven to be safe to use. LANDA’s reputation for innovation is legendary in the pressure washer industry. From the slide-out service platform, to wireless remote control of a pressure washer up to 300 feet away, LANDA set the standard, then raised the bar for every other cleaning equipment manufacturer in North America.